One visually obvious thing I did right this gardening season was starting my Zucchinis from seed, early. I bought the ‘Black Beauty’ variety online in early Spring and started them off in some mini greenhouses. I left them in there until they were just pushing the roof of the lid. Their root systems has developed into such a healthy vigorous clump that I knew they would do well when transplanted out. After some good soil preparation (raking in compost, blood & bone & well rotted cow manure) and heavy mulching (Sugarcane Mulch), the plants have grown rapidly in the few days of hot weather we have had over the past two weeks. 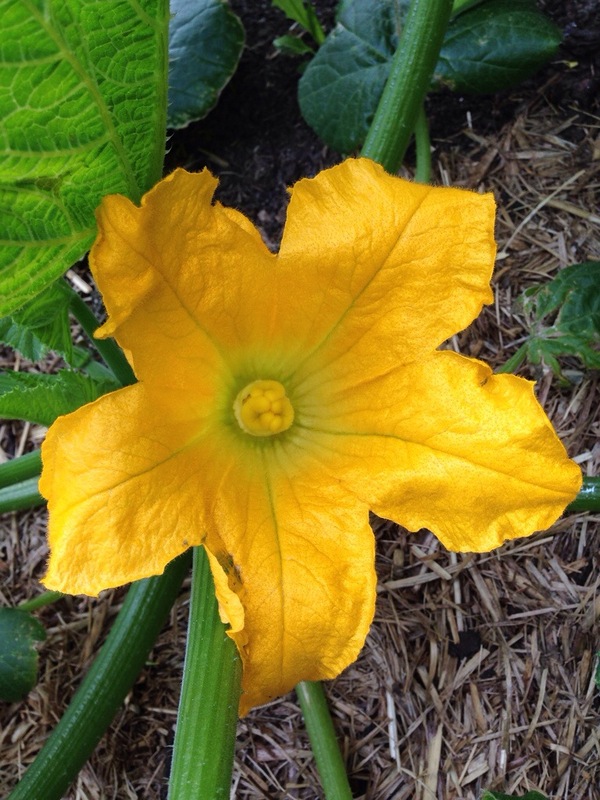 Courgettes grow two types of flowers – both male and female. This flower above is a female. You can tell because of the swollen ovary that is the fruit. 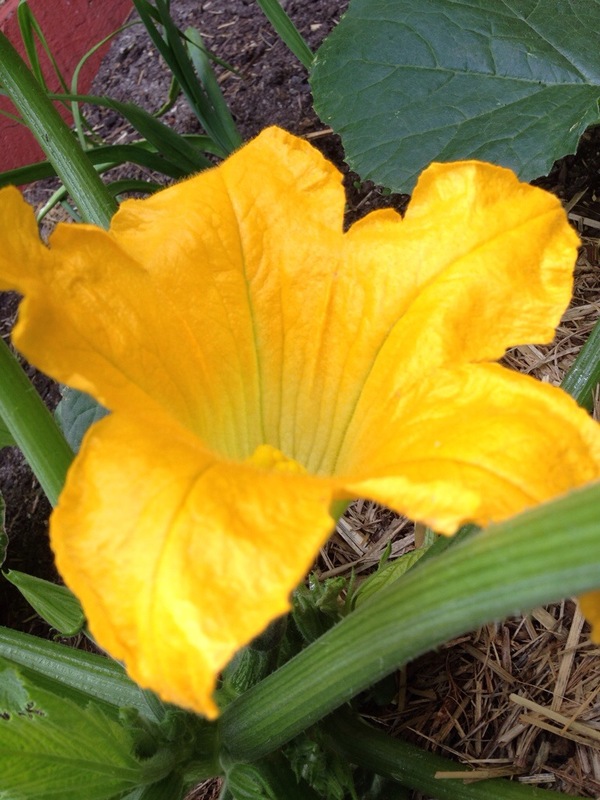 Male flowers have a thin stem and are there for pollination only. 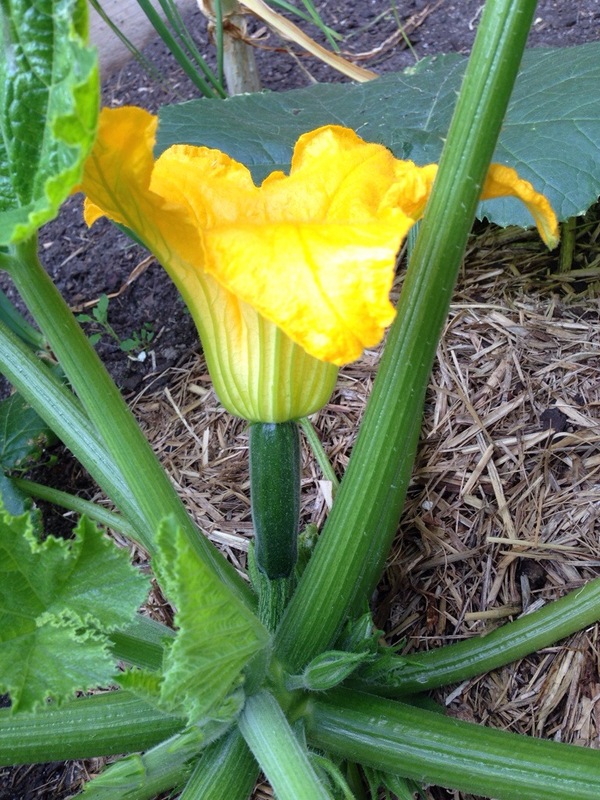 Although you can see a mini courgette (above), this will not develop into a mature fruit if it is not pollinated by the male flowers with the help of bees. That’s why the flowers are so large and inviting – not just for us to look at and admire, but mainly for the bees to see. The fact that the flower is yellow – one of the bees ‘favourite’ colours, truly shows nature at it’s most cunning best. These flowers, when fully open, are magnificent – this one is about the size of an average person’s open hand. The same flower at a different angle. thanks for you great comment! !